When Chelsee and I met, it felt like old friends meeting over coffee. As she described her wedding ideas and all the things she wanted to incorporate on her special day, her wedding personality was easy to “see.” Since Chelsee is expecting, we really only had a solid three months to plan together and we worked hard at finding ways to bring her vision to life. You may have seen Chelsee on American Idol this past season. She’s a Nashville singer/songwriter but works as a librarian by day. So we decided to incorporate a bit of a literary theme into the decor by using old books, a library card file guest book and garland made from book pages. She loves things with history, so we also wanted to use her eclectic collection of doilies, lace, antique mason jars, vanity trays and other vintage pieces as table centerpieces. My favorite detail was the dessert table which showcased a gorgeous cake, individual banana puddings, homemade pies and donut holes in a vintage suitcase as the grooms cake. 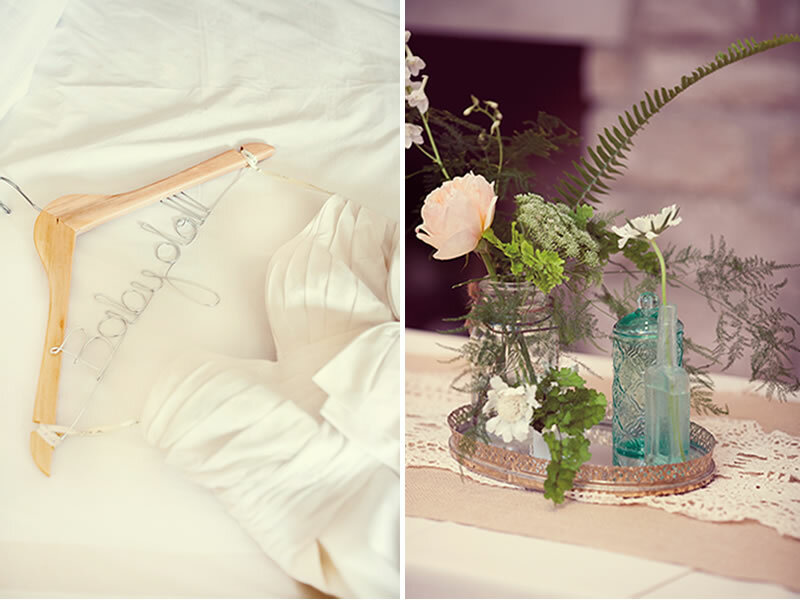 The muted color palette that we chose really gave the whole affair a romantic touch. It was a magical evening and everyone kept saying how “Chelsee” everything was! SO pretty!! I love the soft color palette. Just incredible! You captured her every thought and made it a reality!! Awesome looking wedding!!! I am curious how the burlap bags were produced?